Requests will be honored on a first-come, first-served basis, based on availability of funding. The cost varies for each arts experience. If you would like to purchase an experience, please contact Christalyn for more details. Browse the Artist Directory by scrolling down the page or using the provided filters. Once you’ve decided on a performance, select the ‘Request This Experience’ button next to the artist’s description and it will take you to a request form. Fill out the form completely and be sure to select submit. This form is automatically sent to Education Program Coordinator, Christalyn Wasylkiw. Christalyn will send you a short e-mail stating the request has been received. From there she will coordinate the visit with the artist and send finalized schedules to both the school and artist when complete. Be sure to download the Teacher Resource Guide! The art of spoken-word poetry has existed for centuries and is growing in popularity among youth all over the world. In this class, students will discover the world slam poetry and spoken word. Using video and text, as well as live, in-class performances from local spoken word poets, students will obtain a broad understanding of this exciting genre. Each class will explore different writing techniques to help them take their poem from the page to the stage. Fee, Fie, Foe, Fun! A Giant is loose in Cloudland. Jack climbs the magic beanstalk skyward looking for his father’s stolen treasures. 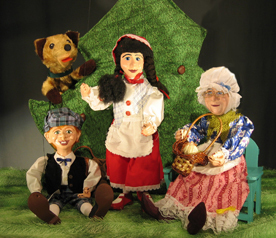 Marionettes, big and small, perform in this traditional Celtic play where everyone lives happily ever after. 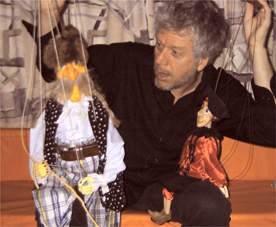 The program opens with a 5-minute world puppet demonstration that ties into the type of marionettes the students will be seeing in the show. 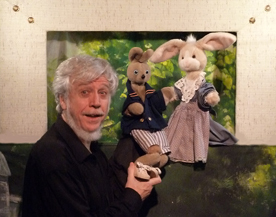 After the play is a 10-minute Q&A about the show that summarizes concepts from the classroom activity guide material. Cafeteria stage, multipurpose room or library are all possible. The stage needs to be 10’ wide and 9’deep. One electrical outlet. Lighting and sound is provided by the artist. 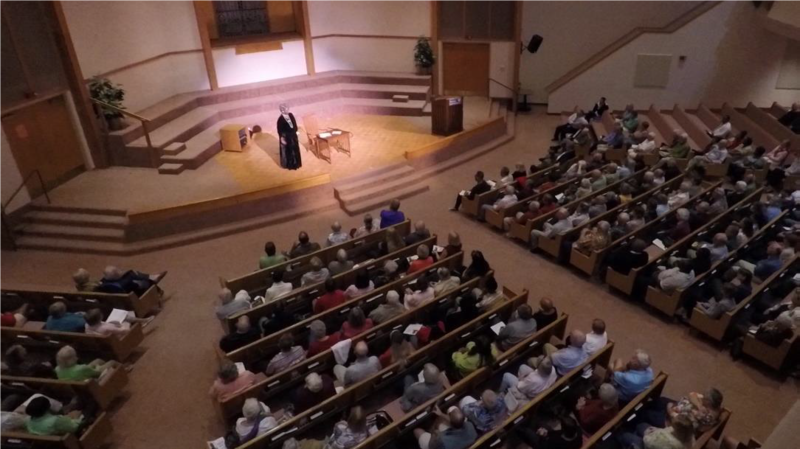 Best seen by audiences of 100 students at a time. Available dates year round except December, March and early April. Everything happens on the way to Grannie’s house. Over the river and through the woods, Little Red plays I Spy but misses the biggest danger of all. Everyone howls with wild abandon. Laughter, clapping and heartfelt sighs all follow Little Red Riding Hood. Mischievous Peter learns the hard way "It's better to be good than bad" when he disobeys his mother. He ventures into farmer Macgregor's garden for a bite of fresh salad and almost ends up in the stew. He hops out into the audience for quite a bit of laughter too. 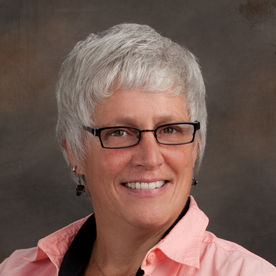 Brenda is a metalsmith and fine artist that works in multiple disciplines, including painting and sculpture. 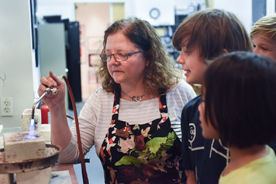 As a Teaching Artist she has created arts-integrated learning experiences for students ages 8 through 18. Working in school settings she has instructed students in the basic principles of art and art history. Brenda believes art has the power to enhance all children’s lives. The act of creation itself inspires children to learn. Art can be applied to many basic subjects in school, but can also include team building and strategic thinking. Brenda partners with non-arts instructors to develop art projects that reinforce what they are learning in the classroom. For example: building a small geodesic dome when studying geometry, or building a replica of a dugout canoe while studying Seminole Indian history. The facility would be determined by the programming agreed upon. Chris Kahl takes audiences on a Musical Journey Through Florida, highlighting the rich history and culture of the Sunshine State. This folk music presentation takes students on a historical journey through the state, featuring performances of original songs and stories, and covering a wealth of historical events, characters, and folklore. Topics include Ponce de Leon’s voyage to Florida in 1513, the rise of Florida’s citrus industry, how railroads opened up Florida to tourism, and the Seminole tribe and their relationship to the Everglades eco-system and its species. 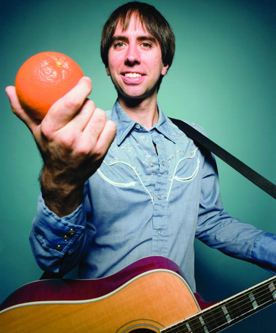 In addition to Florida history, Chris will cover his folk instruments (acoustic guitar and harmonica), his folk performing style, and his songwriting process. The presentation covers key aspects in the Florida Studies unit and is connected to the standards. Must have projector and screen to display PowerPoint presentation. Cafeteria, Media Center, Theater or Multi-purpose room is suitable for this performance. In this 5 session residency, students explore the connections between science and music by studying and creating musical instruments. Specifically, students will construct and use instruments to demonstrate their understanding of pitch, frequency, wavelength and timbre. The residency culminates in students undertaking an arts design challenge. 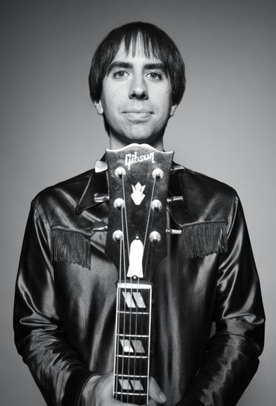 Chris Kahl, musician and teaching artist, will lead students through this engaging STEAM arts-integrated residency. Classroom space (either a classroom, media center space, or open room). A projector, screen, and laptop. Paper plates, beans (small and lima), rice, staples, crayons, straws, tape, craft sticks, string, rulers, beakers. Research shows a strong correlation between academic achievement and health. Let DeMario Henry get your students moving and exercising through dance. Teaching for more than 15 years has given DeMario the insight needed to train others in the fundamentals of hip-hop and other forms of dance while creating a fun learning environment. Students will learn basic dance moves as well as sequencing and teamwork. 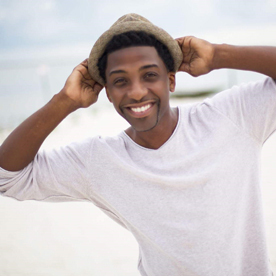 DeMario Henry, founder and owner of VYB Dance Company (vybdance.com) in Tampa, loves sharing his knowledge and love of urban dance. He is one of Tampa's most talented, charismatic and versatile dancers, with a background in ballet, modern, jazz, hip-hop, salsa, bachata, aerial silks and hoop! DeMario was a contestant on America's Got Talent, has performed for Rachel Ray, participated in Scotland's Commonwealth Games, provided dance instruction on I Can Do That! and most recently created choreography and trained a group of dancers to compete in World of Dance. Open space to move around and dance. Equipment to play music. 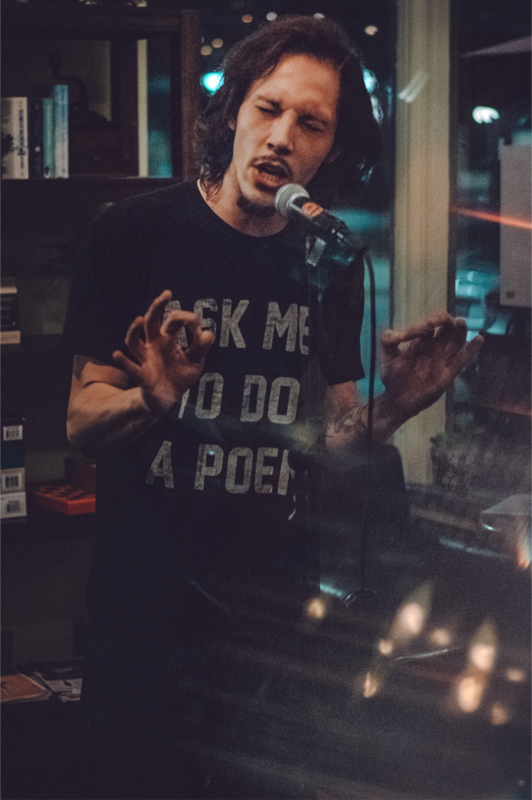 The art of poetry/spoken word is a manifestation of self-exploration through writing, followed by editing with creative intention and performing with passion. The workshops I facilitate follow this path. I begin with personal poems or bring in artists who have powerful personal testimonies through spoken word as inspiration. We would do an icebreaker activity to learn names, then students would be taught a lesson/theme/literary device through a creative activity. After the lesson and examples, they are given poetry prompts(determined by age & current events) and writing time. If there is time at the end there will be a sharing and critique session, which helps the students, understand how to give and accept constructive criticism on their art. Follow! Follow me to a wondrous place of fantastic tales! In Myths Legends and Fables students receive a lively musical and dramatic introduction to legendary heroes, Greek mythology and the science of sound, and the far-reaching power of fables. Doing your best and having courage to ‘write your life story’ are modeled by the stories of the legendary William Tell, current athletes, and American icons. Throughout the program students are encouraged to learn more about the world through reading. In Myths, Legends and Fables, students find inspiration for their own life stories while learning history, culture, science, story-telling traditions, critical thinking, and participation in the arts. 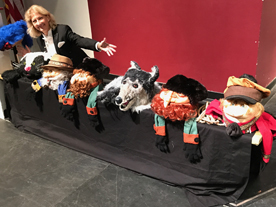 Donna Wissinger delights in creating a lasting memory of the dynamic language arts and musical lessons of Peter and the Wolf. Students become an orchestra by holding instrument signs and standing in correct orchestra seating. They warmup as Donna plays the character’s themes that each instrument with represent. Students learn to clap when the student concertmaster comes onstage and tunes winds, brass and then strings to the oboe ‘a’. Students clap again to welcome the student conductor. In this way, students ‘try on’ being an orchestra member. Peter, the bird, duck, cat, grandfather, wolf and hunters, and using all of the musical themes of the characters. Students will never forget the fun and musical imagery in Prokofiev’s brilliant work. Listen! Can you hear it? Can you feel it? Magic happens in the hearts and minds of teachers and students when learning is joyful, curiosity engaged and everyone is eager for more. In The Pied Piper and other Fantastic Tales, Donna Wissinger draws young students into a musical world of active listening and thinking. 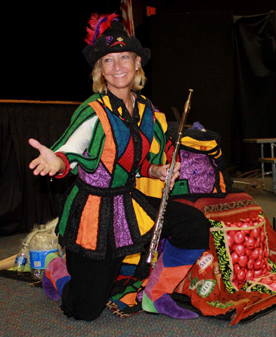 Weaving a piper’s spell with her golden flute she mesmerizes students and teaches musical rhythm and new vocabulary words with her stories of galloping horses and legendary heroes of bow and arrow. Myths from far away lands and secret wardrobes expose students to culture and new instruments. The lively story bag engages students in deductive thinking and dramatic representation all while encouraging reading and teaching science, mathematics, social studies and language arts. Drum Magic provides an interactive drumming experience that teaches life skills through rhythm. These life lessons include the scope of skills needed to succeed as a productive member of society and community whether that community is school, home, work, or play. Drum Magic provides authentic African hand drums called Djembe’s to your school and facilitates interactive drum circles for groups including students, teachers, and administrators. There will be lessons of the instrument including its origin and the regions of the world the drums come from. Students will learn what the drum is made of and about the village they are made in. The students will then be directed into a rhythmic connection that is totally facilitated and brings an unexpected cohesion with the group at large. Drumming together brings a sense of unity to each participant. A community drum circle in your school teaches the importance of teamwork, self-expression, and communication. You can expect much laughter and smiling as well as concentrated effort being made to belong in the rhythmic creation of the group. Schools can schedule half or whole day sessions. Choose a location in the school for a drum circle to be for the whole day. Some use the media center, multipurpose room or music suite. The gym or outdoors is NOT a good choice. Each drummer needs a chair. Ersula Odom’s in-character performance brings Dr. Bethune to life before your eyes. “Dr. Bethune” shares impactful moments of her extraordinary life which represents a broad base of her life experiences. 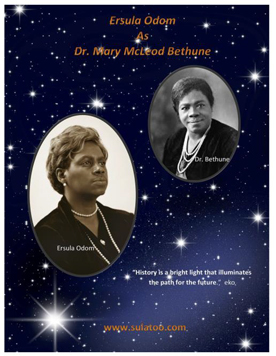 Ersula portrays the life and accomplishments of Dr. Mary McLeod Bethune as a one person show. Ersula Odom’s in-character performance brings Dr. Bethune to life before your eyes. “Dr. Bethune” shares impactful moments of her extraordinary life which are most relevant to Women’s studys. Ersula portrays the life and accomplishments of Dr. Mary McLeod Bethune as a one person show. Ersula Odom’s in-character performance brings Dr. Bethune to life before your eyes. “Dr. Bethune” shares impactful moments of her extraordinary life which are most relevant to her association with United States Presidents. 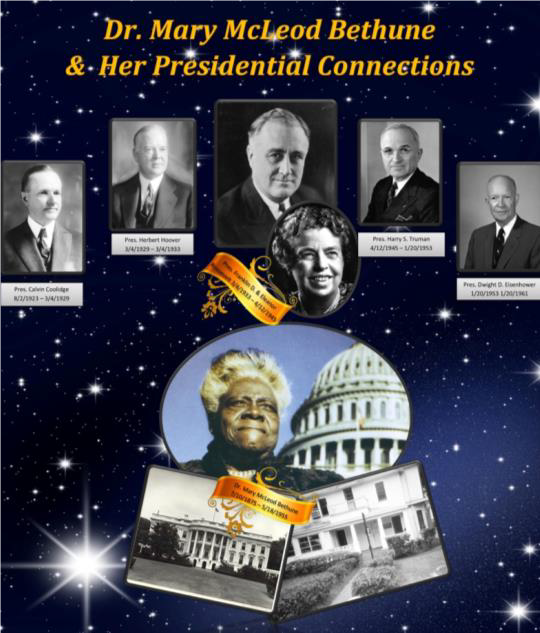 Ersula portrays the life and accomplishments of Dr. Mary McLeod Bethune a one person show.